I’m super excited that my lovely friend, Ashleigh, is expecting a baby boy. She’s the first of my college friends to be with child! Sadly, I won’t be able to make it to her baby shower in Jersey. 😦 So in addition to the usual Babies R Us gift, I wanted to send a little semi-DIY love. 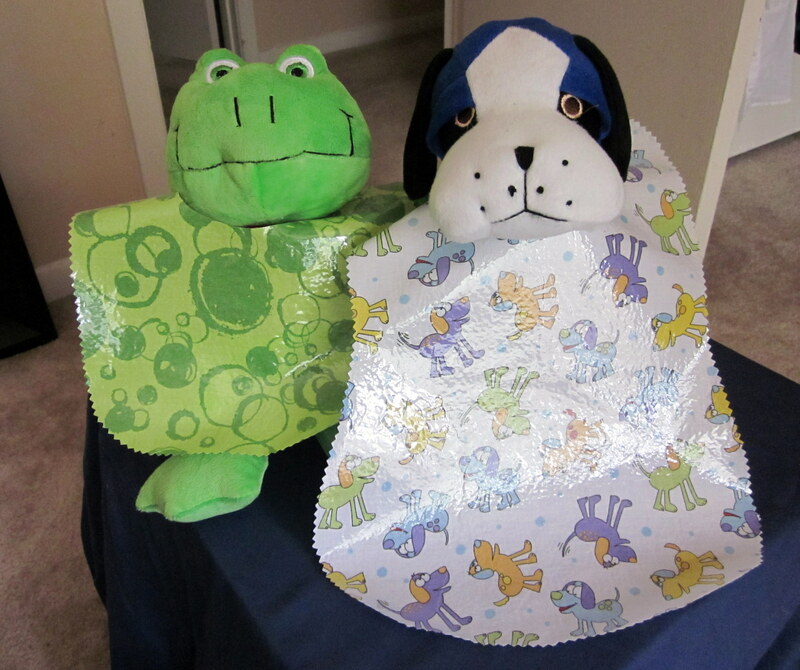 I found a wipe-clean vinyl baby bib tutorial on homemade by Jill with a no-sew option using pinking shears. Woohoo no sewing machine required!! Follow the instructions for your iron-on vinyl. Thermoweb Heat’n Bond requires pre-washing the fabric without fabric softener. Heat your iron on medium. 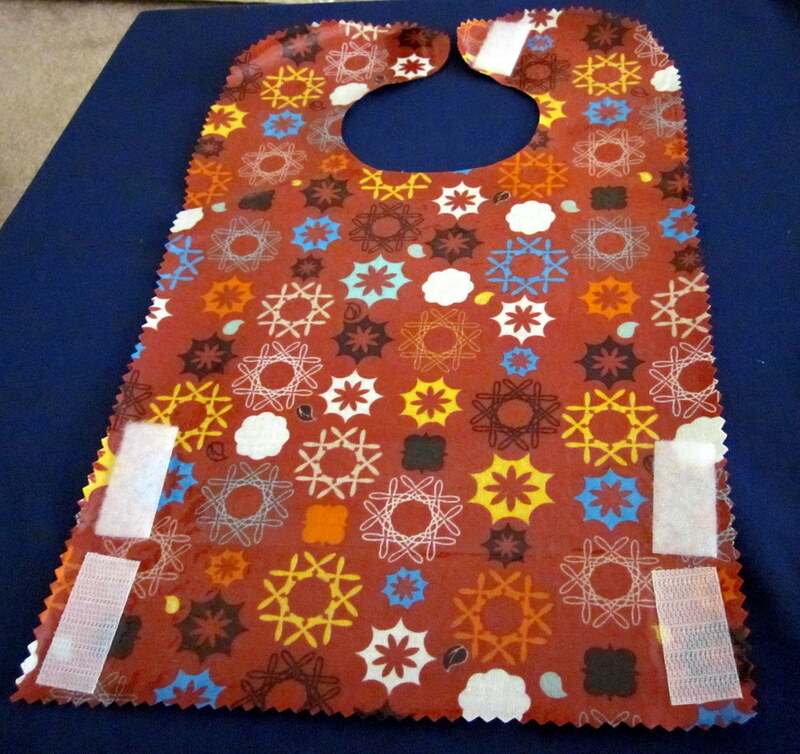 Cut a piece of vinyl the size of one or two bibs (or to cover the entire fabric quarter depending on your needs). Remove the protective sheet from the vinyl and stick the vinyl on the fabric using your hands. Place the protective sheet over the vinyl and iron each area for 8 seconds. 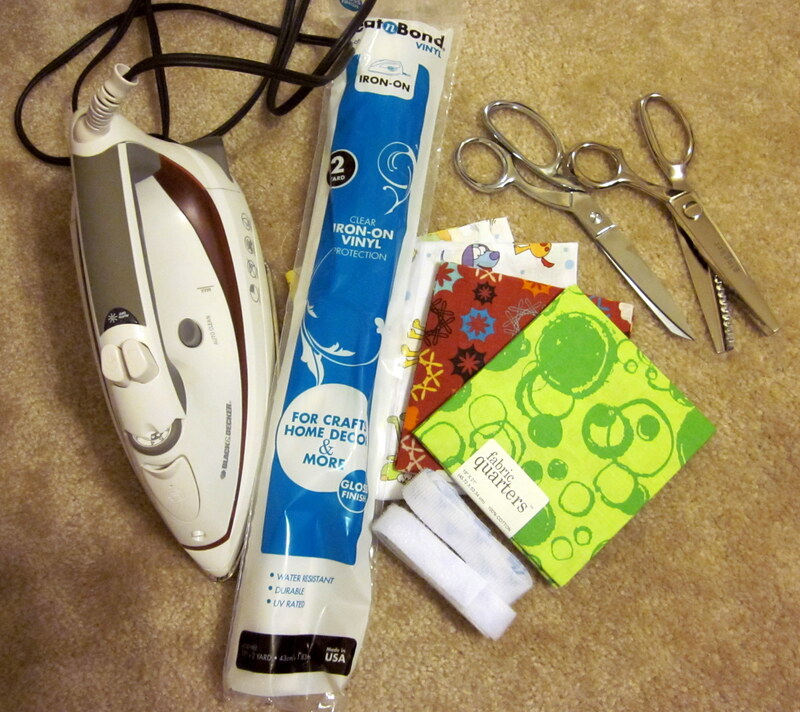 Flip the fabric over and iron each area on back for 4 seconds. Cut out a bib shape from your laminated fabric, using fabric scissors for the neck hole and pinking shears for the edging. For baby bib templates, I printed homemade by Jill’s template for the small bib and the pattern for the bib top from lots of pink here with a straight cut for the food catcher bib and a hand-drawn curvy bottom for the third bib. Try to use as few pins as possible if working with a template. Using the protective sheet over the vinyl, iron-on the velcro to the bib tabs. Velcro can also be used to attach the food catcher bottom. These were pretty simple to make, but I think the doggie one turned out the best. Here are C.K. and Beepy Jr. modeling two of them. This entry was posted in Babies/Kids, Crafts, Gifts and tagged Baby bibs. Bookmark the permalink. I love that you used stuffed animals as your models! Super cute. Hi Greetings for the other Jersey! 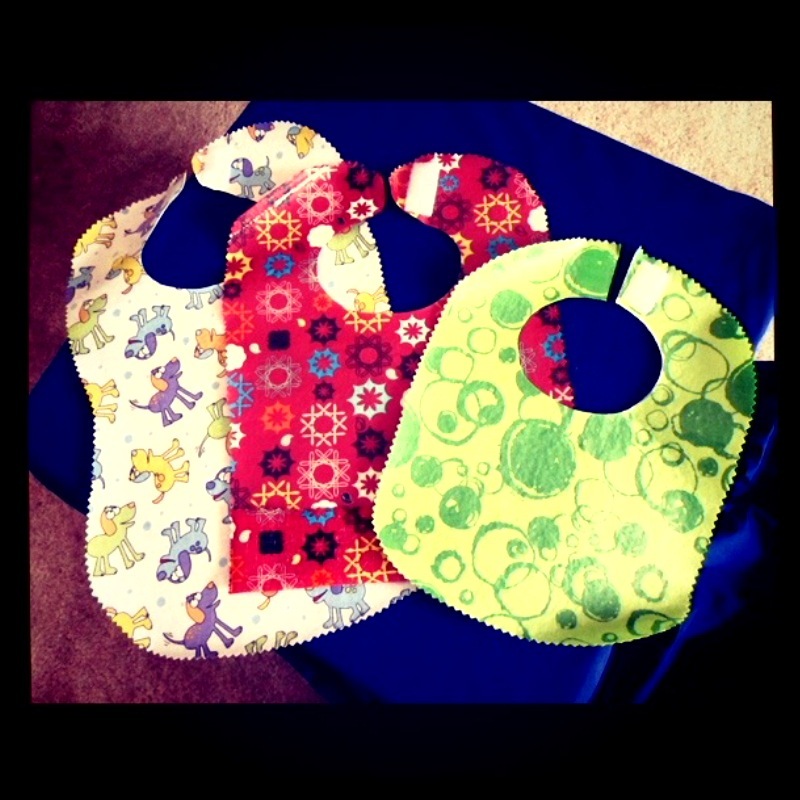 Great job these are really cool baby bibs. Hope your friend loves them. How big do you make the bib for a 2 month baby?